MLA (1871-1874), lawyer, Premier of Manitoba (1872-1874). Born at Donegal, Ireland on 7 July 1833, son of Francis Clarke, he came to Canada with his parents in 1836, and was educated at Montreal Academy and St. Mary’s College. He married a widow with two sons. He was a Conservative and a Roman Catholic. Clarke was called to the Lower Canada bar in 1855. In 1858 he went to the Pacific coast and was a journalist on the Alta Californian. He was appointed a Queen’s Counsel in 1867, and in 1868 was appointed acting Recorder of Montreal. He wrote Sketch of the Life of Thomas D’Arcy McGee in 1868. In 1870, he was invited by the Rev. N. J. Ritchot, delegate of Riel’s Provisional Government, to go to Manitoba. He arrived in November the same year, and in December 1870 was elected to the first Legislative Assembly of Manitoba, representing St. Charles. On 10 January 1871 the Executive Council was appointed, with Clarke as Attorney-General. He acted as Premier of Manitoba for the years 1872-1874. An Immigration Conference was held at Ottawa on 18 September 1871, and Clarke represented Manitoba. In the federal parliament at the 1872 session an Act was passed to provide for the Government of the North-West Territories by the Lieutenant-Governor of Manitoba and a council of eleven men. In January 1873 the first North-West Council was appointed with Clarke as a member. At first he was backed by the French Catholic element in the Legislature. He supported Lieutenant-Governor Archibald’s policy of conciliation. Clarke lost favour with the French by seeking a rapprochement with the English in 1873-1874. A resolution of want of confidence in the ministry was carried and the Clarke government resigned at once. 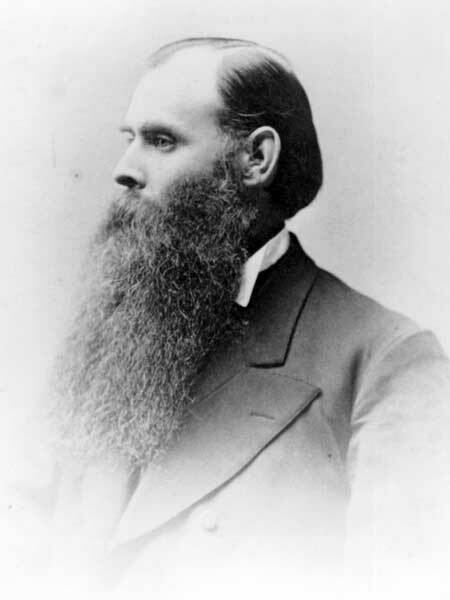 He was a candidate for the Rockwood constituency in the 1878 provincial general election but was defeated by Thomas Lusted. Clarke then practised law in Winnipeg and was an able criminal lawyer, defending some of Louis Riel’s followers after the North West Rebellion of 1885. He was active in various political intrigues and court cases, including the trial of Lord Gordon Gordon’s kidnapper (who later beat him up in St. Paul). He died on 13 September 1889, on a Canadian Pacific Railway train at Medicine Hat, North-West Territories, and was buried at Pembina, Dakota Territory. He is commemorated by Clarke Street in Winnipeg. “Manitoba’s First Premier and Attorney-General Henry Joseph Clarke, Q.C., 1871-1874,” by F. Ebbs-Canavan, Manitoba History 1, no. 3 (1946-49): 1-11. Henry Joseph Hynes Clarke, Dictionary of Canadian Biography XI, 192-94.